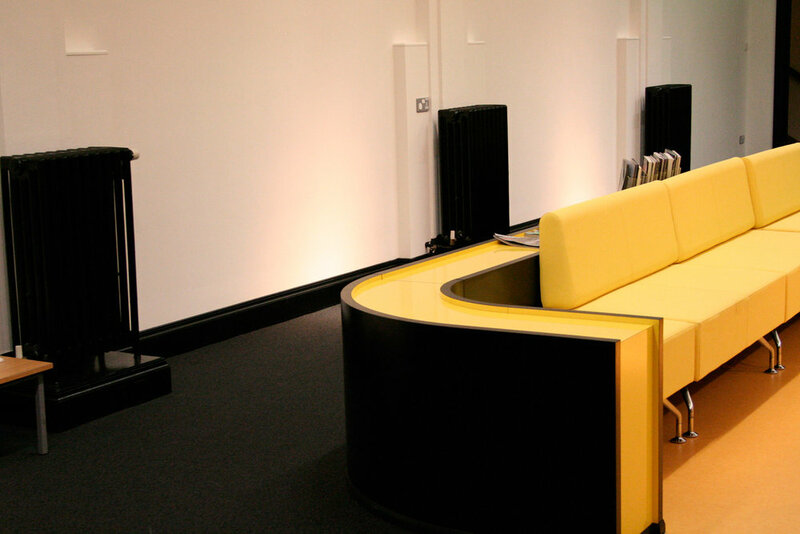 This project was a £200,000 interior renovation to a Grade II listed public library building in Burnley, North West England. 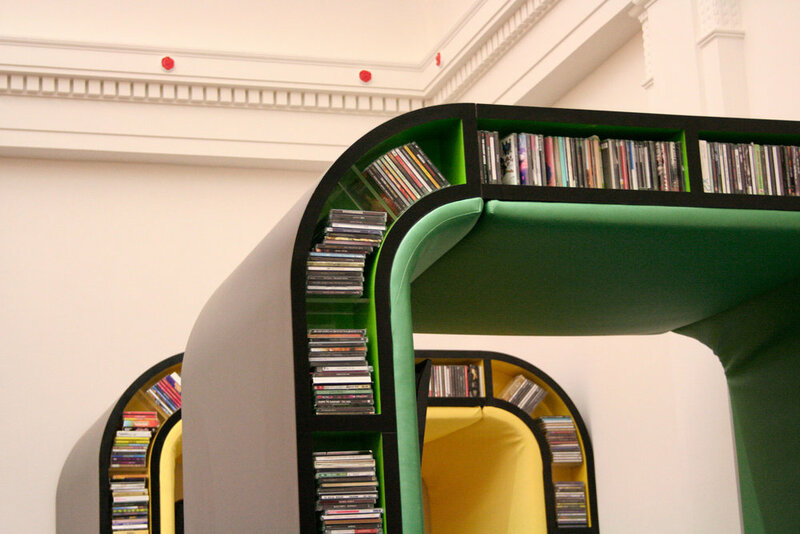 Commissioned by the regional government, under their newly established ‘Cultural Youth Offer’, a single interior space of 175m² (previously housing the library’s out-dated media collection) was selected to be reinvented and rejuvenated for the young people of Burnley. A cross-section of the local community whose attendance had shrunk dramatically in recent years. By updating not just the facilities but also the space itself, it was anticipated that this age group (specifically 14-25 year olds) could be drawn back into the library’s safe and constructive environment. Focusing their creative energies on activities and interests beneficial for their future roles in society and their lives in general. What seemed to be largely responsible for this perceived apathy towards the library and its facilities, was a disconnect between the fast paced and multifaceted nature of the world outside and the somewhat slow and singular world inside. That is, at least, in terms of the engagement on offer. Books, despite their enduring longevity compared to other, more recent forms of media, are (for better or worse) only a marginal source of leisure and learning for many young people within this age group. With that in mind, we wanted to provide a wide range of up-to-date facilities that not only incorporated so called “productive” forms of engagement intended to educate but also those intended to entertain, such as music, television and video games. In terms of the design, we wanted to establish a very distinct language to that of the existing; one that spoke in the native tongue of this bold, fast paced and mobile generation. Where a single space, such as the existing, was no longer limited to a single function or feeling but host to a range of different qualities and environments. Aside from these practical aspects of the commission, I also became very fascinated with its significance generally: as an opportunity to answer or perhaps, more modestly, raise questions regarding the fate of such long-established, analogue facilities, in the wake of a rapidly evolving, digital society. Was, for example, the static materiality of the former, ultimately incompatible with the mobile immateriality of the latter? Or, were there still meaningful (perhaps even necessary) conjunctions between the two, suggesting a future legacy for these already long-standing public buildings. By creating a dynamic selection of custom furniture and fittings, the existing room was transformed into a veritable warehouse of nuanced spaces designed to accommodate a range of new and diverse facilities. Not only did this intervention stand out dramatically from the existing environment but it also sought - along with some remedial conservation work - to accentuate certain features of the host space that had previously fallen into obscurity. At one side of the room we formed two large "radio booths", which gave users access to music, television and their own connected devices, in a partially enclosed and intimate setting. Next to these, we placed a long snaking red structure (much shorter in height than the "radio booths"), which formed three separate "gaming alcoves" for users to play the latest consoles. 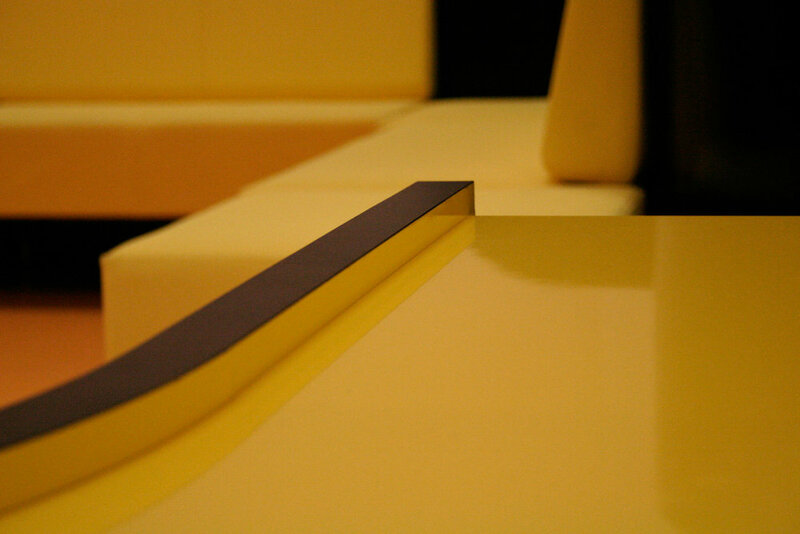 Opposite, we constructed a large yellow "group space", which gave ample room and opportunity for collective events and activities to take place. Finally, at the other end of the space, we constructed a "music studio", which accommodated a range of instruments and equipment to enable users to practice, play and record their own creations. Working closely with the joinery workshop, we designed these various structures to withstand the anticipated wear and tear of this program and its user group, and divided many of the units up into easily replaceable modules to be repaired and updated as necessary.